These Soul sayings are all positive words of wisdom about the Soul from unknown sources. 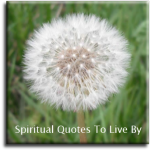 For more inspirational words from known people and sources take a look at the Soul Quotes page. A problem is a problem only when you think it is a problem. In the perspective of your Soul, every problem is an opportunity to achieve higher consciousness. Aging is only a human process of the body, our Soul can stay young forever. 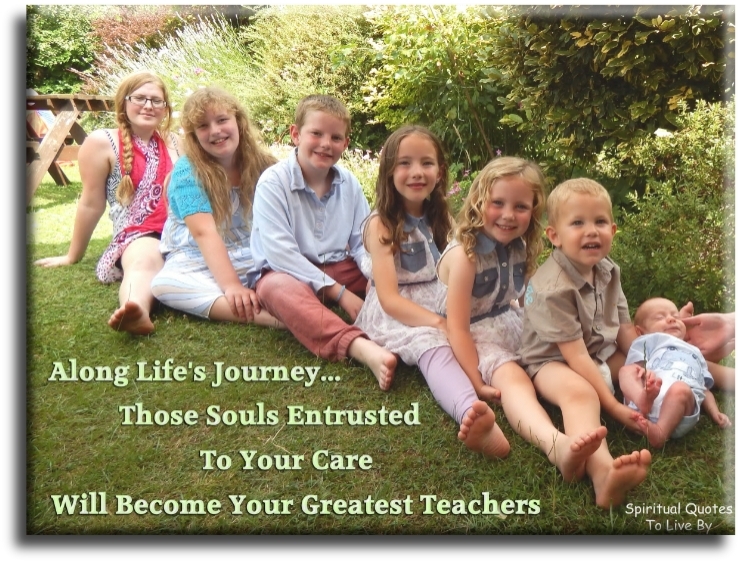 Along life’s journey, those Souls entrusted to your care will become your greatest teachers. Books wash away from the Soul the dust of everyday life. Every one of us has in him a continent of undiscovered character. Blessed is he who acts the Columbus to his own Soul. Every problem is an assignment designed by your Soul. Everywhere we see adversity, the Soul sees opportunity for our healing, expansion and enlightenment. 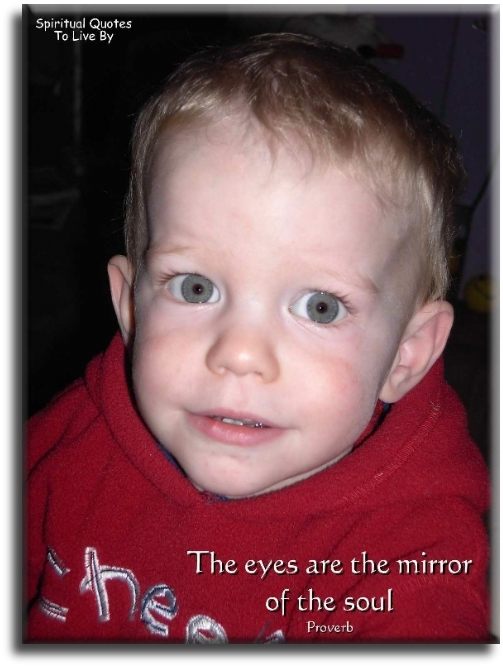 Eyes are windows to the Soul, through which both our purities and impurities are revealed. 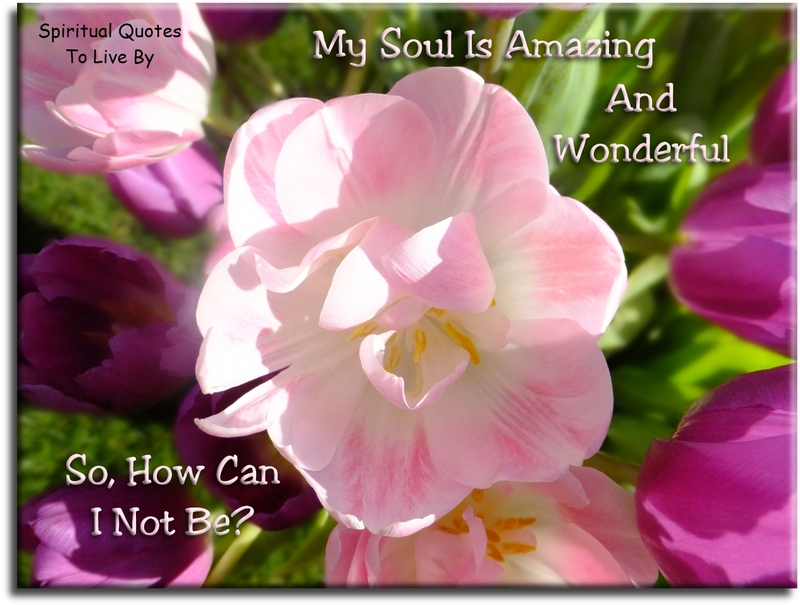 If my Soul is amazing and wonderful, how can I not be also? If there is Light in the Soul, there will be beauty in the person. Intuition is the GPS of the Soul. It’s the actions you take when no one is watching and the kindness you share when there is nothing to gain that shows the depth of the love in your Soul. Kind words are like honey, sweet to the Soul and healthy for the body. Laughter is the spark of the Soul. Let go of what isn’t helping your Soul smile and grow. Let your dreams lead you to where your Soul knows it belongs. Life is a school where you learn how to remember what your Soul already knows. Light is infinitely more powerful than the dark. When darkness crowds in around you become luminous and walk in the brilliance of your Soul. Love has nothing to do with bodies... Love dwells in the Soul. Music... the melody of the Soul. My Soul is amazing and wonderful... so how can I not be? 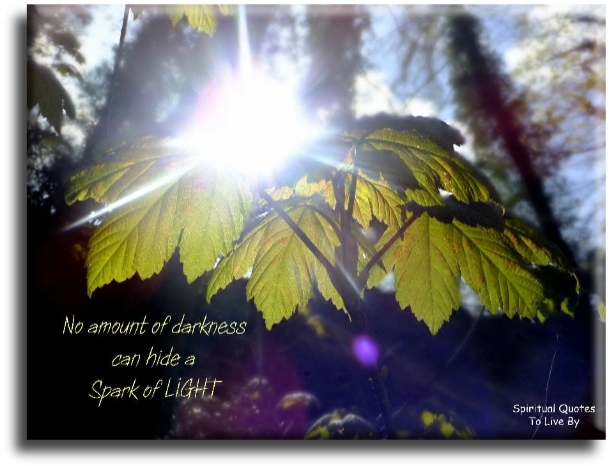 No amount of darkness can hide a spark of Light. Realize that you cannot help a Soul unless that Soul really wants help and is ready to be helped. Send that Soul nothing but love and more love. Be still...and wait. But be there when that Soul turns for help. Rest but never quit. 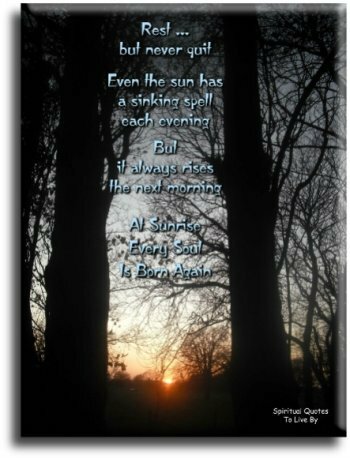 Even the sun has a sinking spell each evening, but it always rises the next morning. At sunrise every Soul is born again. 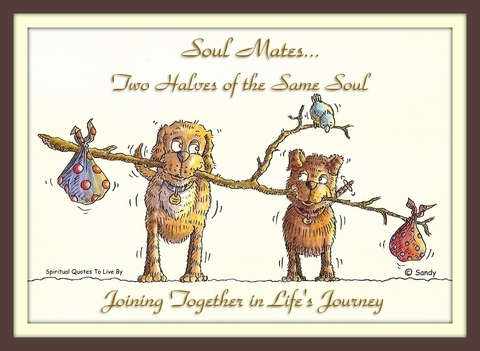 Soul mates... two halves of the same Soul, joining together in life's journey. Souls recognize each other by the way they feel, not by the way they look. The eyes are the mirror of the Soul. The Soul is a jewel in the forehead. It spreads Light to the world. We mistakenly believe that happiness, comfort, ease, security and status are the goals in life. But the Soul has another agenda, it cares nothing for the personalities suffering, only that these be the refinement, strengthening and purification, so that the personality is rendered worthy to serve the Souls purpose. What soap is to the body - laughter is to the Soul. Why do we close our eyes when we pray, cry, dream or kiss? It's because we know that the most beautiful things in life are not seen, but felt by the heart and Soul. 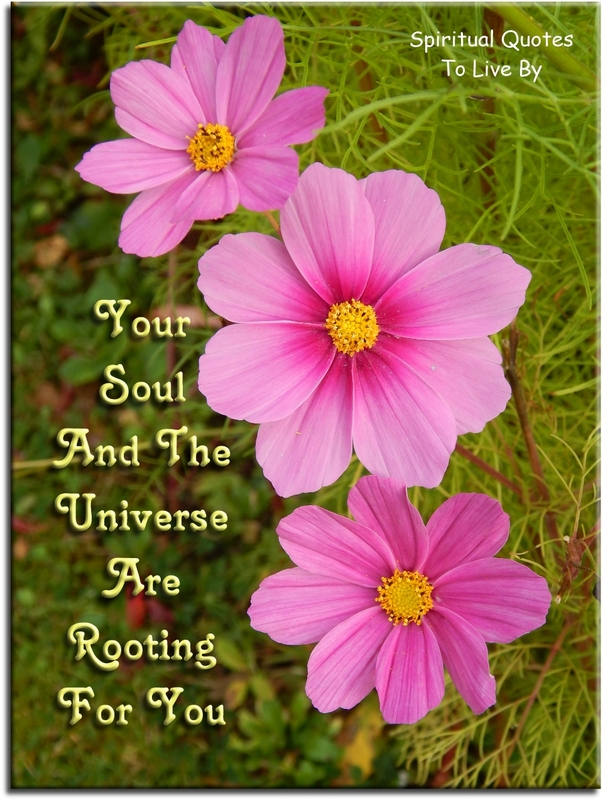 Your Soul and the Universe are rooting for you.